Welcome to the Parish Church of St John. 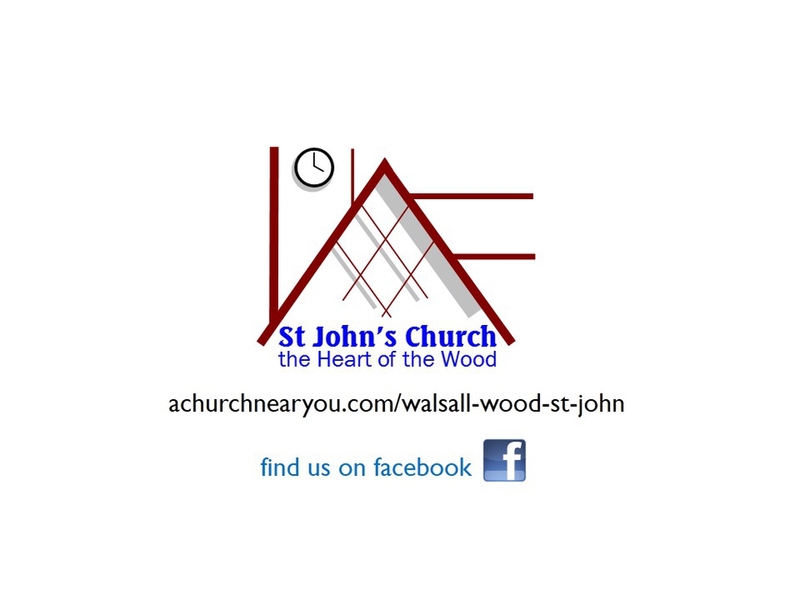 We are a lively worshipping fellowship in the heart of the community of Walsall Wood. We would be delighted to welcome you. Our church community reflects the great diversity of our local neighbourhood, and we are pleased to welcome all. We offer a range of worship activities which reflects a breadth of spiritulaity: from our family-friendly Sunday morning Holy Communion, where the children join us part way through; to the lively monthly Family Service or Morning Worship, and on to a modern version of Evening Prayer, standing firmly in the Anglican liturgical and choral tradition. In addition we hold a Communion Service on Wednesday mornings, where most weeks we are delighted to welcome around 45 children from St John's CE Primary School. At mid-day each Wednesday we hold a short act of worship where we pray for all for whom our prayers have been requested. We also hold a Holy Communion Service on Thursdays at 12.30. For full details of our worship, including special services, please see the "Services and Events" section. St John's seeks to be an outward-facing church community, too. We have regular contact with our local primary schools (and an excellent close partnership with St John's Primary School); we have a lively Baby & Toddler Group, and a popular weekly drop-in Coffee Morning. In addition have a busy Sunday School and a great children's group (ages 8 to 12) called "The Ark". Members of St John's are actively encouraged to take a full part in the life of the church, through involvement in worship, organising social and outreach activities, and membership of teams working to develop the church's mission and ministry. St John's is blessed with a wonderful modern Community Hall, provided for us through the generosity of a local charitable trust. Many of our social events take place in the Hall, which is also used by a range of community groups and our Sunday School. The Hall is also available for Children's parties, Baptism parties, etc. 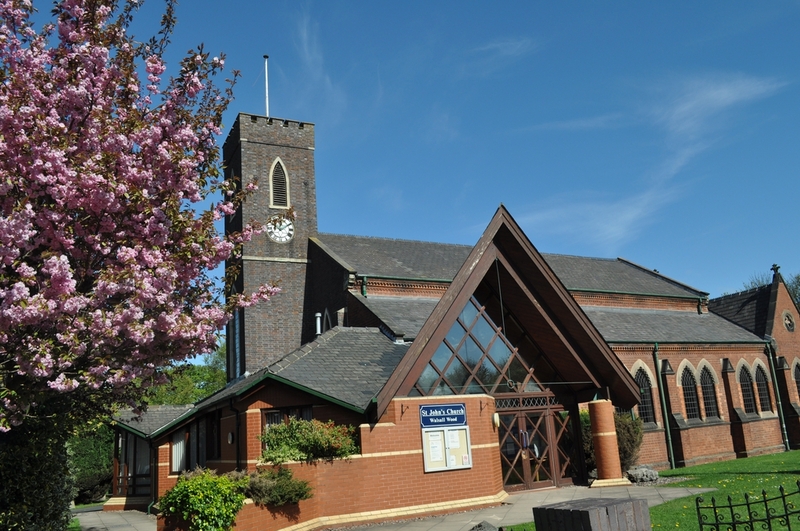 At the heart of Walsall Wood since 1837, our church has undergone many changes over the years but we are still pleased to welcome many families as they bring their children to be Christened, or to celebrate the joy of marriage. We also seek to offer pastoral support at the painful times of life, such as sickness or bereavement. We honour, with grateful thanks, the traditions which have nurtured us as we look enthusiastically to the future. Thank you for visiting this web site. Why not come and visit us in person.